The soft notes on the flute played a melodious tune and the rhythmic beats on the tabla rounded their synergy into a soul-stirring number. Sangita paid keen attention to the beats-takita taka dhimi dha. She did the math and choreographed her steps in her mind. It was a prestigious stage and she could ill afford to slip-up. Sangita’s graceful hand and feet movements were in perfect sync with the percussion, yet she felt a void. With a deep breath, she closed her eyes, letting go of rules. She, then, let the haunting flute guide her heart to a rapturous performance. Write from the soul, not from some notion about what you think the marketplace wants.The market is fickle; the soul is eternal’. There are no rules for the heart but the heart rules. Only when the heart is opened, the true talent flows out. Thanks, Anita! This was lovely Uma! 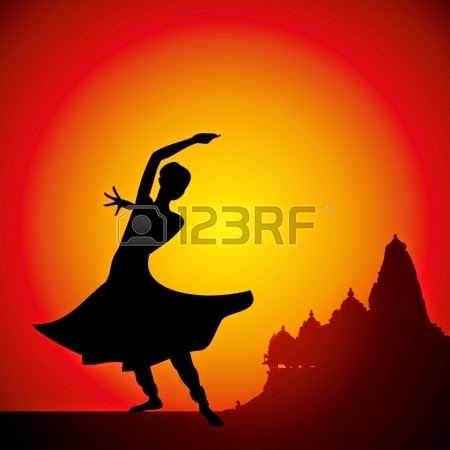 An artists true calling lies when they dance from the soul, without any inhibitions! Beautiful Sangita, Rules, indeed, stiffle you! I loved her spirit and your post. Ahhh reminded me of my school and college days when I used to dance on stage! Lovely Uma. The soul is indeed eternal. Lovely post, music, dance and any form of art is at its best when done from the heart and not necessarily from the mind.